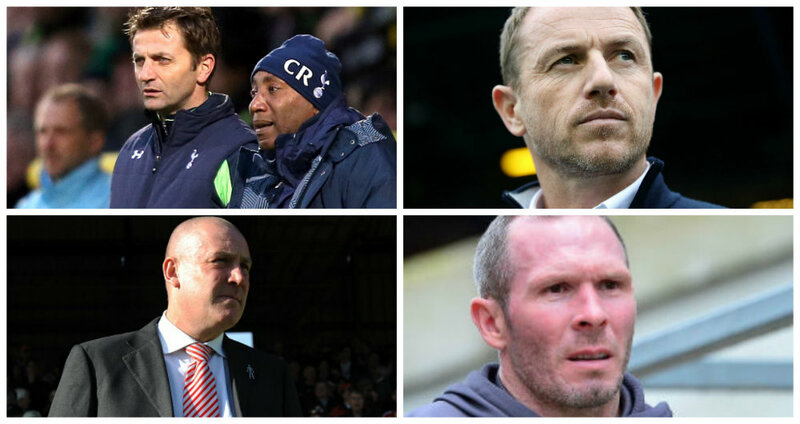 Tim Sherwood, Gary Rowett, Mark Warburton and Michael Appleton are QPR’s initial top candidates to take over as manager. Rangers want to make a quick appointment following the departure of Steve McClaren, who was sacked on Monday after a run of 11 defeats in 14 league matches. Sherwood has long been the first-choice appointment of director of football Les Ferdinand, who worked with him at Tottenham. Rowett was also previously pursued by Ferdinand, in 2016, but stayed at Birmingham City, prompting QPR’s owners to bring back Ian Holloway for a second spell as manager at Loftus Road. Holloway was replaced by McClaren last May but the former England boss has himself been axed after winning just 16 of his 46 matches at the helm. Rowett is currently out of work after being sacked by Stoke City. The financial constraints Rangers are under mean they want a manager with ability to develop young players. Former Brentford boss Warburton, who has also managed Glasgow Rangers and Nottingham Forest, is well regarded in that respect. So too is Appleton, who has managed Blackburn, Portsmouth and Blackpool – all in troubled circumstances – and has more recently managed Oxford United and been assistant boss at Leicester City. Sherwood, meanwhile, achieved some success bringing through players at Tottenham, where he worked closely with Ferdinand and Chris Ramsey. Ramsey, now QPR technical director, ended up being given the manager’s job in 2015 after Ferdinand unsuccessfully tried to have Sherwood installed in place of Harry Redknapp. Do we REALLY need a Director of Football? you tend to get the impression that Les ferdinand wants to reunite the old spurs backroom, which failed so miserably, otherwise they would still be there, get real Les,we are QPR not a sub division of Tottenham.NO to Tim sherwood. why do we keep shooting ourselves in the foot? answer because we are being run by a bunch of cowboys,Les ferdinand keeps helping to make these appointments and they keep failing thereby he is a failures why do we not sack him? ?Lee Hoos wants to run a club but not spend any money, another failure? .Youth is OK,when interwoven with good experience, otherwise its just another nursery class. When will you lot realise you are a small club with delusions of grandeur you need someone who will bring on your young players and help them develop like Steve Robinson at Motherwell but it’s my hope you get harry back so he can finish the job he was doing ! Im not really over surprised at the club’s selection of 4. They have proved in the past that they couldnt choose a right one if he stood in front of them. Should be 1 – whats wrong with Ollie? I’d take Warburton or Appleton. Don’t really want Rowett, seems a bit big time, but I could live with it. What about (if we could get him) Wagner? Cowley bros? Phil Parkinson? Kenny Jackett? Olly back? I’d take all these.